What if we told you that helping a child in a third-world country is as simple as making a trip to your local Whole Foods Market? Think how much we all each spend each week on both necessary expenses, like groceries, and non-essentials, like specialty coffees. When you really consider the amount, it doesn't take much extra to give back. If we all just skim a little off the top of our non-fat soy vanilla lattes each week for the rest of March and donate it to a worthwhile cause, we can help make the world a better place, with less poverty and hunger! Whether you are already in the habit of making donations to worthwhile charities or just developing an interest in altruism, we're here to tell you about a great way to change lives this March: the Planet Foundation Prosperity Campaign. Whole Foods Market, the popular upscale grocery chain specializing in the highest quality natural and organic products available, is going global, but not in the way you might think. This retail destination known more for wholly healthy foods than giving back is doing just that: using their resources to raise money for services to alleviate poverty in 69 countries around the globe. Through the nonprofit Whole Planet Foundation, which Whole Foods Market founded in 2005, the company has launched the Planet Foundation Prosperity Campaign. This foundation works tirelessly to combat poverty worldwide, with a goal of helping those in extreme poverty empower themselves through microcredit and entrepreneurial training. During the month of March, you can help simply by attending events in the store. The Whole Planet Foundation has partnered with microfinance partners in 69 countries across Africa, Asia, and the Americas in an effort to bring resources to blighted communities. The nonprofit has helped create millions of opportunities for "micro-entrepreneurs" to better their lives, and the lives of their family members, by disbursing almost two million microloans that total almost $65 million. The foundation focuses on helping women and children; loans as small as a few hundred dollars can make a huge difference in their lives. This March, it's your turn to help further the cause! Whole Foods Market is the leading retailer of natural and organic foods uniquely positioned as America's Healthiest Grocery Market. The upscale chain was founded in 1978 in Austin, Texas. 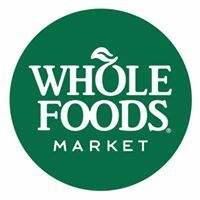 Visit Whole Foods Market’s website and find your store to check out an event raising funds for Whole Planet Foundation near you. When and Where Can I Contribute Here in Tampa? 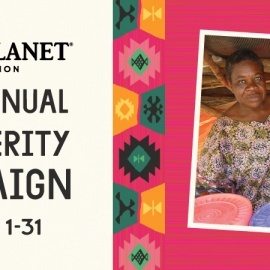 If you are interested in contributing to the Planet Foundation Prosperity Campaign, consider donating to the cause at one of your local Whole Foods Market locations in Carrollwood, South Tampa, and Clearwater, during March 2017. 100% of donations go directly to the Planet Foundation Prosperity Campaign, to help poverty-stricken men, women and children around the world. Interested in learning more about what's going on at your local Whole Foods Market in March? 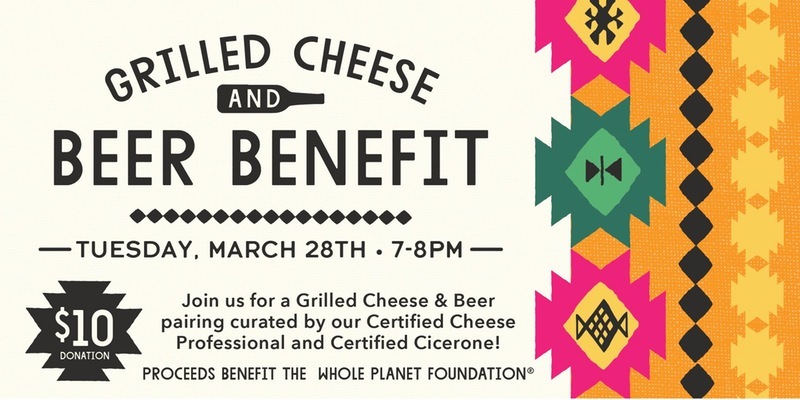 Enjoy events like the Grilled Cheese & Beer Benefit or Cupcakes for A Cause at your local stores - click here to find out more! Throughout the month of March, Whole Foods Market's Tampa locations will offer visitors the opportunity to enter a raffle for a custom gift basket. Donate only $2 to the World Planet Foundation, and get entered for a chance to win a gift basket valued at $150! "We alleviate global poverty by providing microcredit in communities that supply Whole Foods Market stores with products. Our focus is on women in the developing world, where a small loan can help a very poor entrepreneur build a home-based business and create a better life for her family. Microcredit loans are small—outside the U.S.A., the average first loan is $184—and they do not require a formal contract or collateral. Small loans provide impoverished entrepreneurs with access to credit to create or expand home-based businesses that will generate income for their families. When these funds are repaid, they remain in the borrower’s community to generate additional loans. Whole Foods Market covers all operating costs for Whole Planet Foundation®. When you donate to Whole Planet Foundation, 100% of your contribution goes directly to microlending programs dedicated to alleviating poverty worldwide. Thank you."